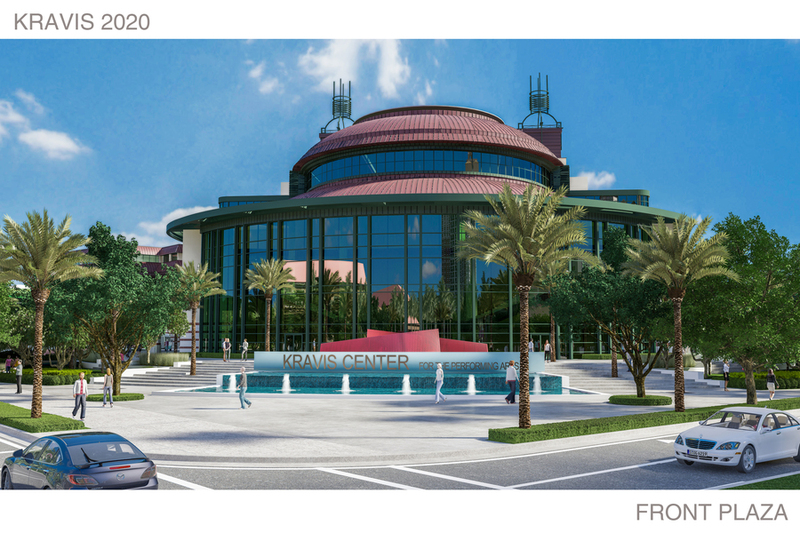 This morning, standing in front of backhoe loader, Kravis Center Board Chairman Michael Bracci announced the performing arts center would undergo a $50 million renovation, expansion, and improvements. "After 26 years of operation, we have some really exciting things that are going to happen here at the Kravis Center," proclaimed Michael. Then, board members and dignitaries held a ceremonial groundbreaking. 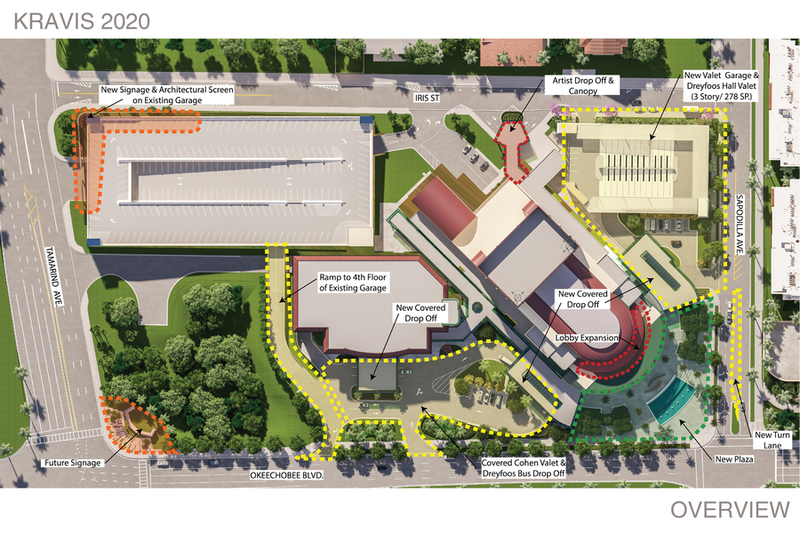 The main ideas are to improve traffic flow in and out of the Kravis Center, place prominent signage on the facility from all directions (currently there is only one small sign), and expand the lobby. 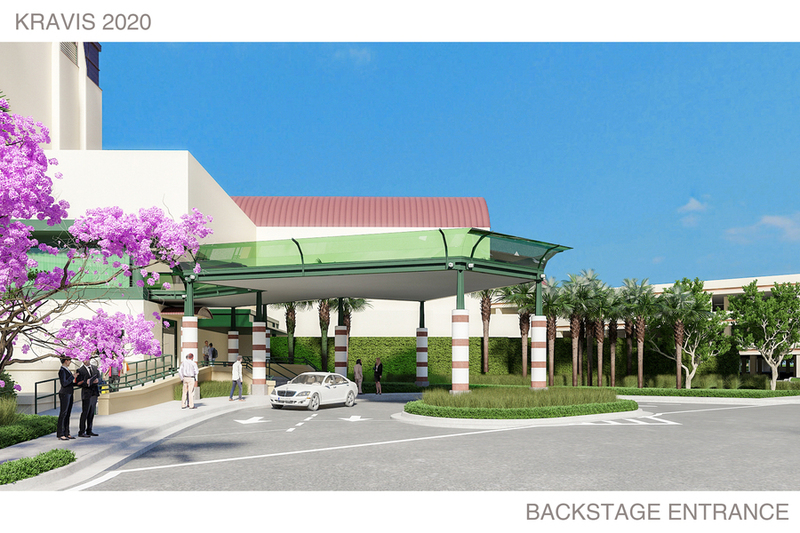 There will be colorful water features and expansive landscaping on the plaza, making it a pedestrian-friendly destination for people walking and biking from CityPlace, the Marriott, the Hilton, the Palm Beach County Convention Center or the downtown community. The expansion coincides with city efforts to make venues along Okeechobee Boulevard easier for walkers and bicyclists to navigate. Additionally, the lobby will be expanded to include more bathrooms and space. 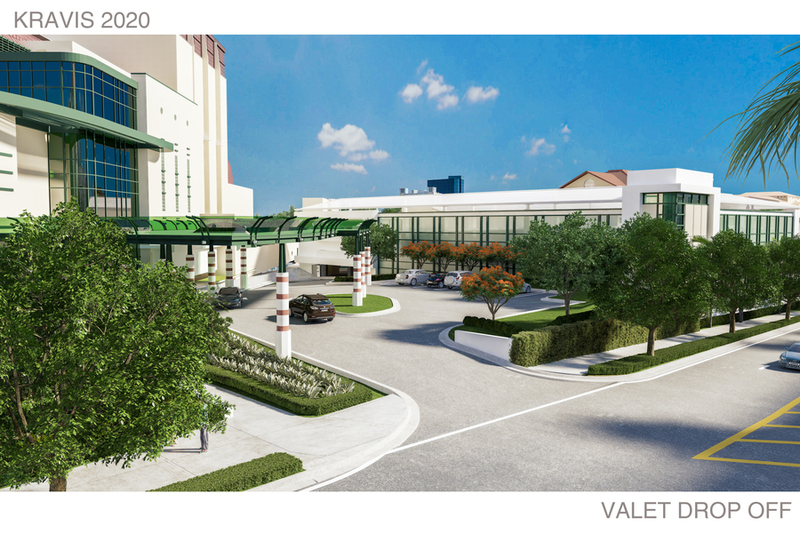 The valet drop-off will move from Okeechobee Boulevard to Sapodilla Avenue. 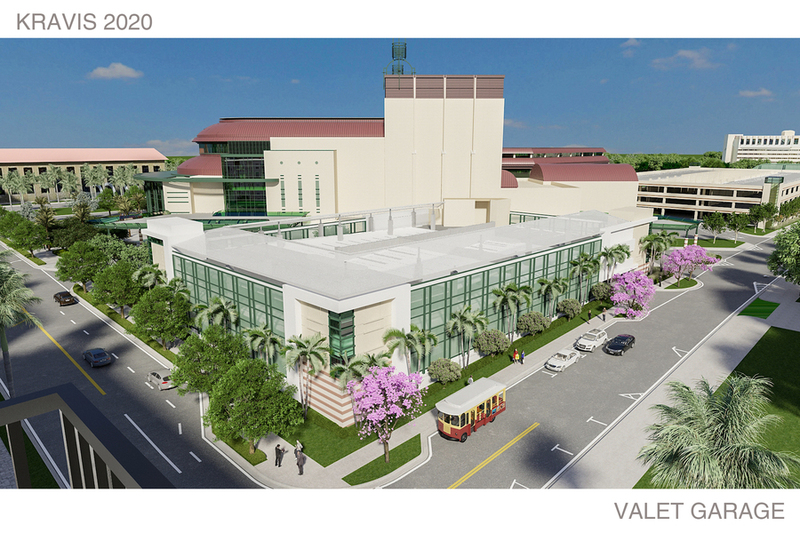 A new valet garage on Sapodilla Avenue will provide more convenience for users. 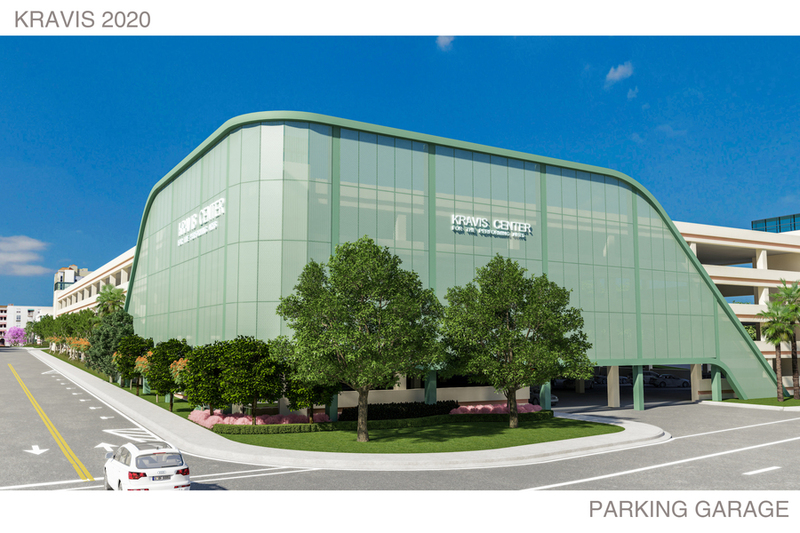 It will also alleviate congestion in and around the main parking garage before and after performances. It will now have a newly covered drop-off. 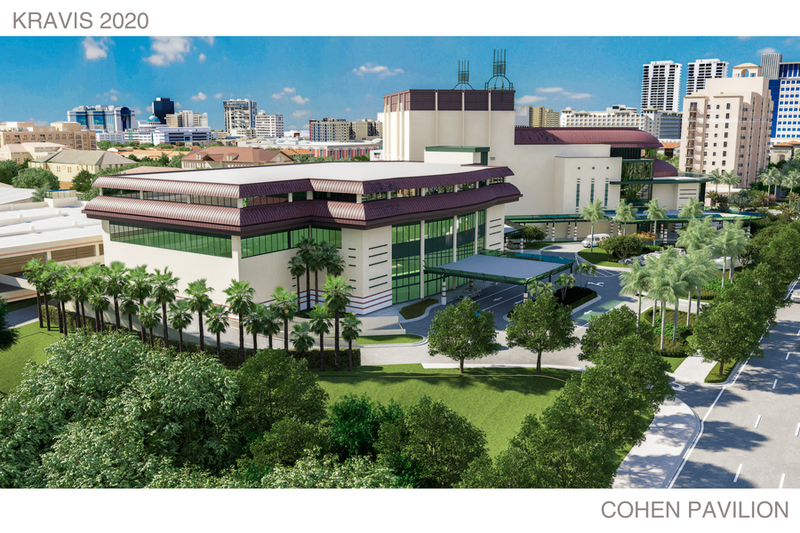 The art deco glass feel of the rest of the Kravis Center will expand to the parking garage and will now include signage. Also, an interconnected ramp up to the fourth floor of the main garage will be added, making it and the fifth floor easier to access. This ramp will allow exit directly onto Okeechobee Boulevard. There will be a second plaza at the corner of Tamarind Avenue and Okeechobee Boulevard, with an interactive marquee and benches. 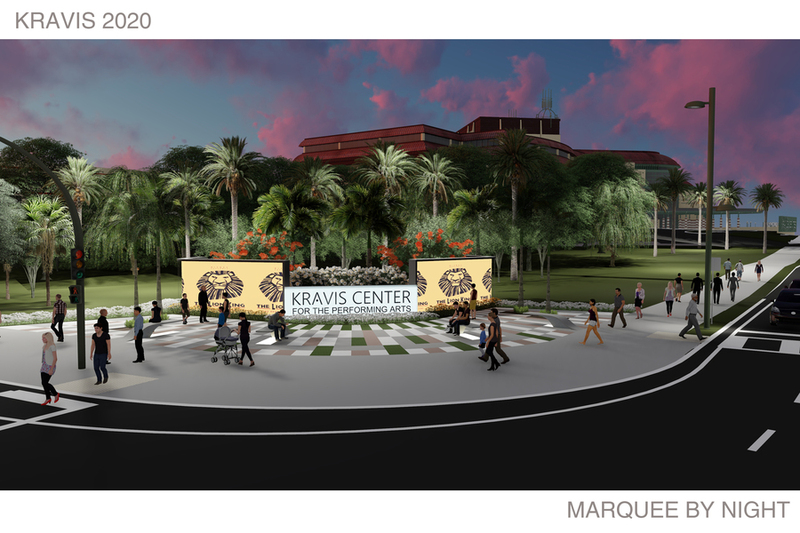 It will be a classier way for performers to enter the Kravis Center.